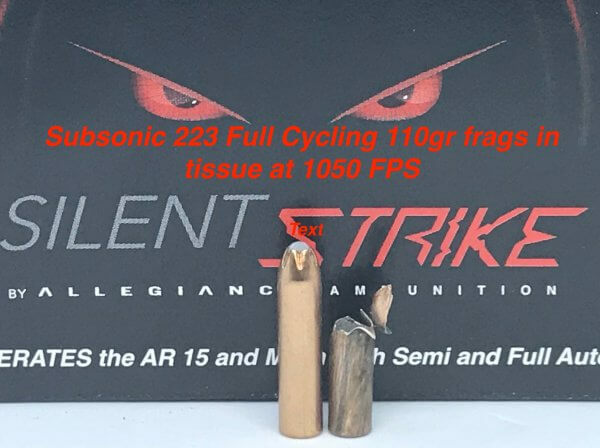 Silentstrike 5.56 110gr Full Cycling Subsonic 20rds per box - Detroit Ammo Co. : Detroit Ammo Co.
SilentStrike is the worlds only Subsonic 5.56 Full Cycling Jacketed Frangible round that will operate the AR weapon platform at 1050 FPS in semi and full auto and that is safe to shoot in suppressors. SilentStrike is the worlds only subsonic 5.56 Full Cycling frangible ammo that is safe to use in a suppressor. 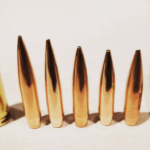 Using a dense compressed Tungsten powder metal core we achieve core densities that allows the round to generate sufficient gas pressure to operate the weapon at 1050 FPS. The dense tungsten core allows SilentStrike to penetrate at the lower velocities through thick bone and hide to reach the vitals. 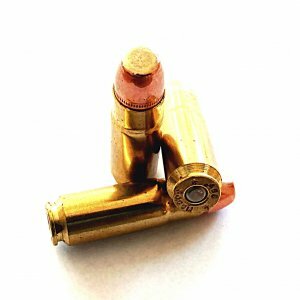 Even at the lower velocity depending upon the caliber and shot placement SilentStrike has a certain amount of frangibility in soft tissue that helps create a larger wound cavity to stop the threat sooner. 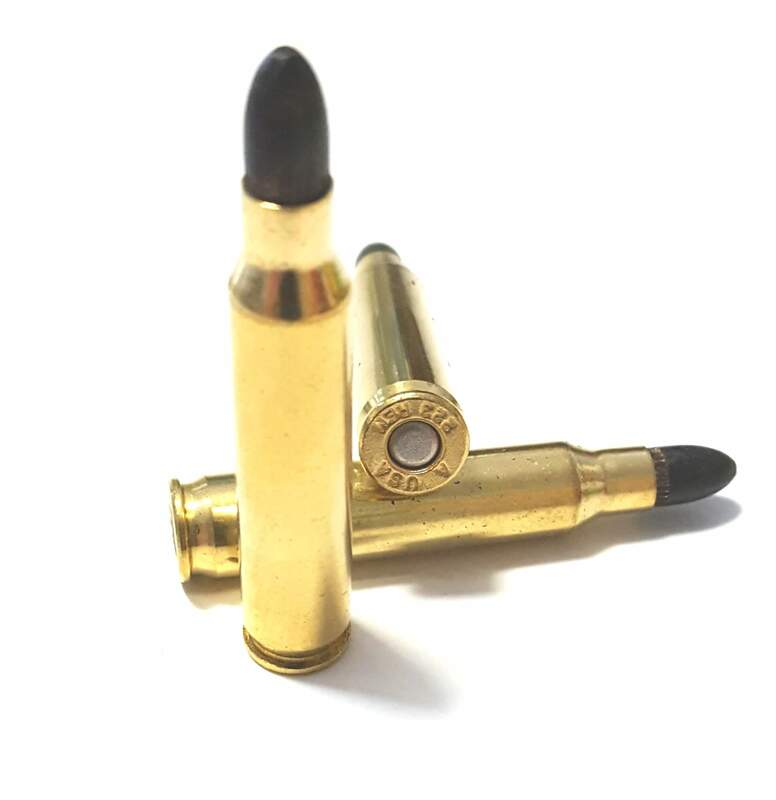 Because SilentStrike is a powder metal core it will fragment on surfaces that would cause lead bullets to ricochet making it ideal for around sensitive areas and metal enclosures. 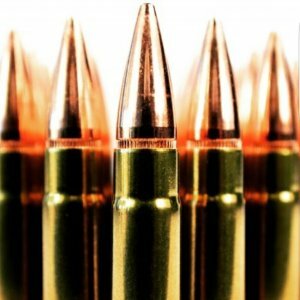 A 1×7 twist and a 5.56 NATO chamber is required for best results. Do not shoot SilentStrike in a 1×9 twist barrel. It will cause a baffle strike. 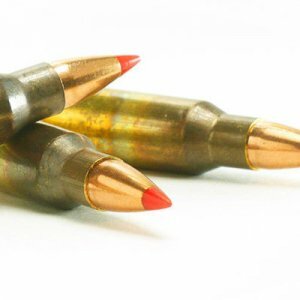 If you are not sure then shoot the first 10 rounds on paper without a suppressor attached to see if the bullet is showing any (sideways) YAW in the paper. If it does then DO NOT SHOOT IT IN YOUR GUN. SilentStrike is designed primarily for a SBR with a barrel 16 inches and under and is based upon a stock factory AR spec which is a standard buffer, stock recoil spring and a min .065-.070 gas port. If your gun won’t function with SilentStrike it has an extremly good chance that a simple change out of the buffer, buffer spring or barrel would be all it takes to make it run. Other problems that can show up will be the gas port being to small or the gas port and the gas block being misaligned. Small problems like that wiil not show up with standard type of 223/556 ammo because of the mass amount of gas port pressure that the gun has to work with. SilentStrike Subsonic 5.56 Full Cycling ammo is a very specalized round for a specialized application so the gun must be built to a high quality AR spec and kept in good operating condition. . Subsonic 5.56 Full Cycling SilentStrike works in a 7 inch all the way up to a 16 inch upper and it works in semi and full auto mode. 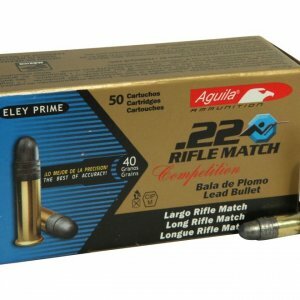 If your gun has a 223 Remington chamber DO NOT, DO NOT shoot SilentStrike in it. 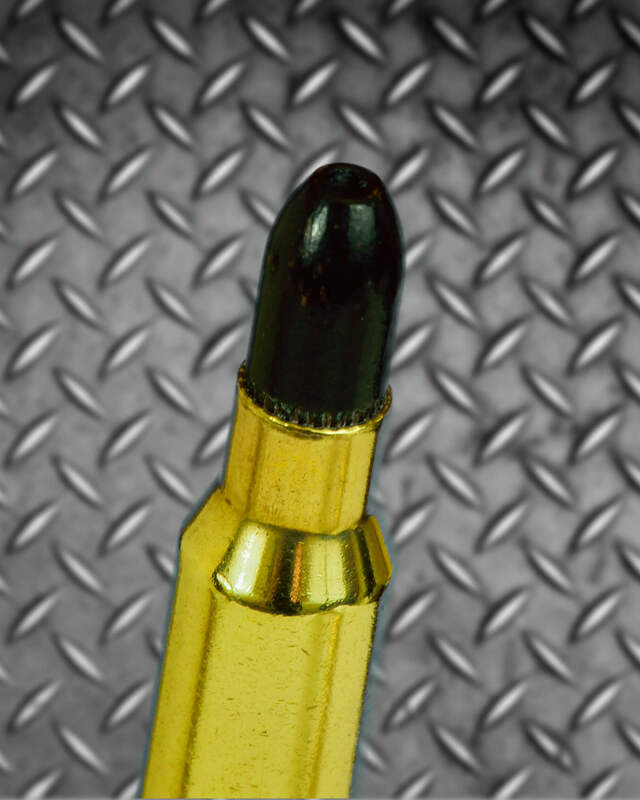 For whatever reason some gun manufactures have been putting 223Remington chambers in AR 15s. 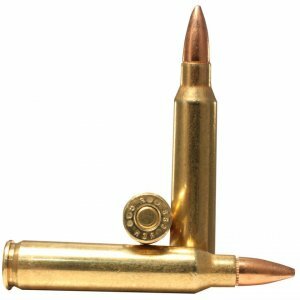 A 223 Remington barrel is typically what you put in a bolt action rifle. Trying to shoot SilentStrike in a 223 Remighton chamber could possible cause the gun to fire out of battery. CHECK YOUR CHAMBER BEFORE FIRING TO MAKE SURE IT WILL FIT COMPLETLY IN YOUR WEAPON!! SilentStrike delivers quiet lethal performance, whether the user is a varmint hunter or LE personnel in an Urban CQB enviroment when silence is needed to ensure a successful mission. Thank you for your order. We appreciate your business and your feedback how we can make a better product. Please feel free to contact us at any time.